In this lesson, we will learn how to convert units of capacity from the customary system to the metric system and vice versa. Determine, to the nearest hundredth, how many millilitres there are in 1.49 cups. Determine, to the nearest hundredth, the number of litres in 4.28 qt. Determine, to the nearest tenth, the number of litres in 1.7 gal. Convert 82.83 L to gallons, rounding the answer to the nearest tenth. Determine, to the nearest hundredth, the number of cups that can hold 536.6 mL. Complete the following using < , = , or > : 9 … 2 9 m y d 3 3 . 1 L of water was poured equally into 8 cups. Find the volume of water in each cup. 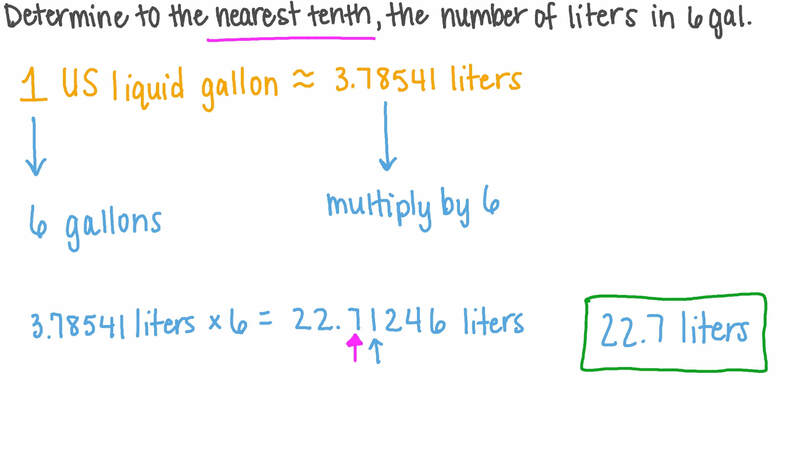 Determine, to the nearest tenth, how many milliliters there are in 12.68 pt. Determine, to the nearest hundredth, the number of litres in 6.87 qt. 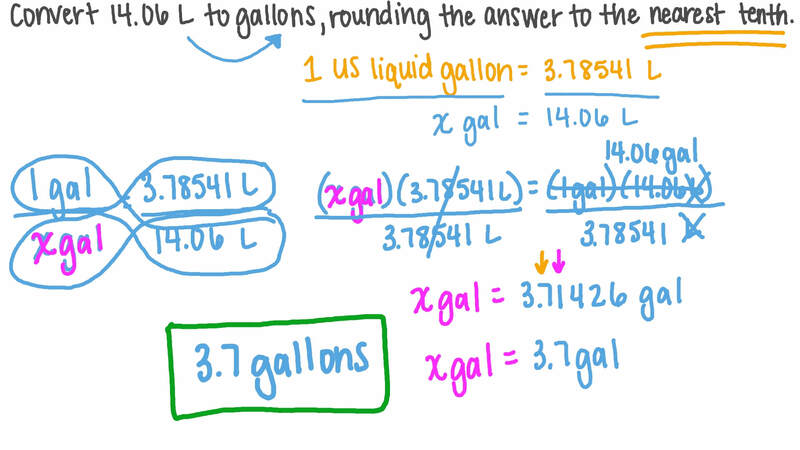 Determine, to the nearest tenth, the number of litres in 6 gal. Determine, to the nearest tenth, the number of litres in 8.9 gal. Convert 14.06 L to gallons, rounding the answer to the nearest tenth. Convert 25.66 L to gallons, rounding the answer to the nearest tenth. Determine, to the nearest hundredth, how many millilitres there are in 2 cups. 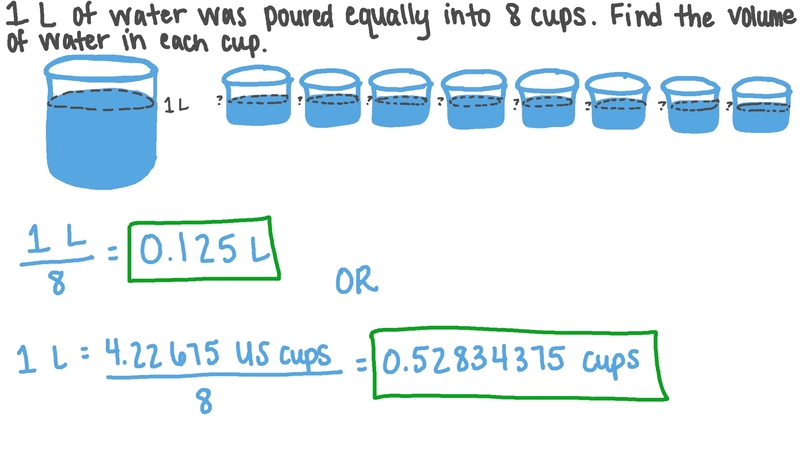 Determine, to the nearest hundredth, the number of cups that can hold 127 mL. Determine, to the nearest hundredth, the number of cups that can hold 895.7 mL. Determine, to the nearest tenth, how many milliliters there are in 17.9 pt.